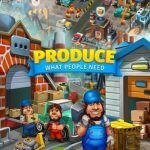 Sparkling Society is at it again with their unique and popular brand of city building simulation game. As the fifth and latest instalment in the franchise that has been played and loved by millions of people around the globe, City Island 5 dares to take the title further by presenting every feature available in previous instalments as well as providing new ones to make the game even more fun and exciting. Like its predecessors, what sets City Island 5 apart from all other games in the genre is the fact that you can unlock other islands and build up to 4 more cities. You can play the game for free and on your own offline or you can go online to see how you fare compared to everyone else’s progress on the leaderboards. There’s not much pressure to stay on for long hours as the building countdowns continue on when you are off the game. 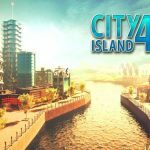 If you are a fan of city creation and management sim games, then you will definitely revel in the hundreds of structures you can build in City Island 5 as well the hundreds of hours you can enjoy as you watch your cities grow bigger as you play. As the mayor of the town, your job in City Island 5 is to grow your city. It sounds simple enough but the challenges ahead of you will grow along with your city. As you build residential and commercial structures to populate your city and gain income to develop it further, community buildings and decorations must be installed as well to ensure that the people will stay happy. There are literally rooms for expansions as you can purchase additional land to further advance your city’s progress. After making enough progress and earning tons of cash, you can begin exploring other islands that present various terrains that in itself offers unique challenges. With everything you build and upgrade, you earn experience points and as you reach new levels, additional units of the same buildings as well as entirely new ones become available for purchase. There are a ton of things you can do while waiting for your commercial buildings to earn profits. Beyond that, you can always just enjoy watching what you have built and mentally craft plans on how to make your city even more picturesque. There’s a quick and easy guide to follow on the first construction and collection activities you will go through when you first start the game. There really isn’t really much more to cover as the complexity level between balancing and earning will come naturally later on and you will most likely get the hang of the game soon enough. 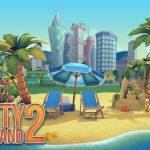 If you never played any of the City Island games before, you may want to check our guides for both City Island 2 and City Island 4: Sim Town Tycoon as some of the tips and strategies in those articles can still be applied to this game. You may still discover something new as well if you are still playing those games. In any case, if you want to progress faster in City Island 5, our tips, cheats, and strategies below will surely boost your gameplay by several folds and potentially even put your name on the top performers in the leaderboards. One of the most important things you need to understand in City Island 5 is that you need to keep a positive, if not perfect, balance across the population number, the available jobs for the people, and the level of happiness the city in general has. Building residential structures increase the population; commercial establishments provide jobs to people and generate profits for the city as well; and community structures provide happiness to the citizens. As the population grows you need to ensure that there are enough available jobs for everyone and as both grow in numbers, the more difficult it becomes to keep them happy which is why you will need to construct more establishments to remedy that. Be sure as well to always keep an eye out on the numbers illustrated at the upper right hand of your screen to determine if you are keeping a good balance of each item. In your seemingly never-ending quest towards continuous and sustainable progress you will always have to expand your land while the allure of profit will always be attractive to move towards progress faster, you should spend some of those earnings in prioritizing the city residents’ level of happiness. Aim towards keeping it at a hundred percent or more but if you are having a hard time maintaining that, at least keep it above 70 percent. Below that people will start to leave town, and you will end up with a lot of establishments that don’t have enough workers to generate profit fast. Most especially when your city has flourished enough to contain varieties of structures, deciding how to progress further becomes an important decision as far as impact of upgrades or constructions are concerned. As you can upgrade each structure up to level 10, there will be a lot of instances when doing so will be more cost-effective than actually building more structures. As such, you should always check to see the benefits of both before choosing whether you should consider upgrading an existing structure or constructing a new one. For one though, choosing to build new structures gain you experience points to level up and unlock more structures, as far as effects go, though, you may opt for upgrades when immediate increase in population, jobs, or levels of happiness become more important than experience points. Keep in mind as well that there are limits to the number of similar structures you can build within your level and you may need to gain more experience and level up a few times to acquire additional copies of some structures that you have already used. You can use keys to purchase some structures though but keys are a bit more challenging to earn than cash, and there are only 4 random structures you can acquire from keys per day and some or all of them may not exactly be what you need. There is also the matter of having limited space to build your structures on although you can always expand your working area several times at the cost of cash. Be sure to check the cost of espansion and the actual size or working space you get before making the purchase. Treasure chests with keys inside can be obtained as well from these expansions. On top of the profits you get from your commercial structures level ups, you can earn keys and other rewards by finishing quests. There are Daily Quests as well as milestones that you can accomplish in City Island 5 and in some cases, you can easily earn them enough just by playing regularly. As keys give you access to additional structures accessible either at high costs or much later in the game instantly, you would definitely want to stock up on them whenever you can. Every construction you successfully complete earns you experience points indicated by the blue area in the circle surrounding your level and once it becomes full, you will level up. As there may be instances when you will have to decide between constructing new structures and upgrading existing ones, consider the experience points you get as a huge incentive to go for construction as much as you can afford to. Once you reach level 15, each commercial structure will be able to convert your currencies from cash to silver keys to gold keys and finally, gold coins. As you may have a few coins already, then you should already have an idea how difficult it is to acquire more for free and there are a lot of structures as well that can only be obtained through spending these gold coins. Keep in mind that each commercial structure’s currency exchange rate may vary from each other so you may want to look at the more expensive ones you have as they may present the best rates for you. Performing upgrades on structures will not impact the exchange rate numbers they have so if you want better results, you may want to look into more expensive commercial structures that you can build. There will be a lot of times that you will be in the game waiting for constructions and upgrades to finish, or waiting for some commercial structures to generate profit, or perhaps even simply enjoying the view of your creation as well as watching cars (your residents) drive around your city. During these times, you can click on icons that pop up on top of the roving cars for cash, experience points, or even silver keys. The amounts are not that much but it still helps you earn something while practically staying idle. You will hardly remember the upgrade level of each structure in your city and it can be very tedious and time-consuming to click on each one just to check their current upgrade level. The space for new structures to be built on and the path for roads that you need to pave to connect all your structures together can become difficult to see as well when your city becomes crowded enough. Fortunately, there are tools in City Island 5 that helps make it easy for you to have a better view of your city for these instances and all you need to do is tick on the corresponding magnifying glass and upgrade level icon on the right side of your screen. You can make use of the magnifying glass as well on new cities in other islands if you want to lay out roads first as you plan on mapping the initial areas of the city out before proceeding with constructions. While playing and gaining levels at the first island you will unlock some structures that you won’t be able to use just yet because they require a different terrain to be built on and that can never be available on your current island. Once you have enough profits to unlock a new one, invest your cash and venture into it to try and start your expansion quest anew. Your resources, people, jobs, and even the happiness level cuts across all five islands so it will become even more challenging to maintain the perfect balance across people, jobs, and happiness when you are managing two or more cities. Just to ensure that you won’t have trouble with regard to not having enough money for emergency “happiness maintenances” after buying a new island, be sure to have more than enough cash before doing so. Keep in mind as well that on the newer islands, structures cost a lot more compared to the first one. 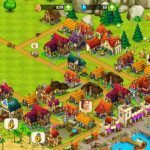 Before going for the third and succeeding islands, you should first be able to manage the first 2 ones well enough that you can consistently grab earnings while keeping the population happy. While residential structures on other islands may be easily affordable to you, business and commercial establishments are a lot more expensive so you may resort to balancing everything out by constructing or upgrading your existing commercial structures on your first city. If you haven’t read any of our previous guides on the other City Island games or you haven’t read or heard of ways to exploit similar offline games with waiting times linked to the date and time settings of your device then now is the perfect time to try it out. During the initial phases of your game wherein you may still be constructing or upgrading basic structures, the time it takes to complete may only take a minute or two. A few more than that wouldn’t be all that bad either but there will come a point when the construction time will take more than an hour, which is too long especially if you already want to reap the benefits of the upcoming structure or simply want to progress further sooner. If you don’t want to wait and would rather instantly finish construction but don’t want to spend gold coins as well, then you should instead head on to your device’s setting, then the date and time, an simply make the necessary adjustments to advance the time enough for your pending constructions to be finished when you get back to your game. If your notifications in the game are on, you will instantly know that what you did worked and as you come back to playing you will see that all pending constructions are done. Fortunately enough as well, constructions are not the only important things that can be sped up by this cheat as all profits generated by each commercial structure are bound by the same rules as well. So if you want to earn cash fast in just a matter of minutes, grab whatever each of your structure has generated and check the longest time it would take for all structures to generate full incomes and then fast forward to that time. Doing this trick will guarantee that cash will never ever be a problem for you and you can progress so much faster in the game. You can also speed up unlocking new islands after buying them and you can practically open all up within a few minutes using the same time lapse procedure. Depending on how much time you can actually put into doing it over and over, the rate of cash flow you can earn may be sufficient to access all islands in just a short while. Keep in mind as well that on days are affected as well, which means that beyond speeding time up to gain income faster, you can speed days up too and obtain daily rewards within seconds. As there are daily quests in City Island tough, you will also skip the opportunity of completing some that you haven’t accomplished yet when you move forward to the next day. Just a few words of caution, though. In case you are relying on your date and time settings for important matters like schedules and alarms, be sure to remember rolling them back once the time jump has been triggered. Also, you don’t need to actually close the game before adjusting your device’s time settings as it will restart on its own right after you switch back to it after making adjustments. Well, this last cheat we mentioned definitely takes the cake on this City Island 5 guide as far as progression speeding up is concerned but hopefully, you will still find the rest of the guide helpful, especially if you’re a huge fan of playing legit. In any case, the City Island 5 tips, cheats and strategies we mentioned in our guide covers everything you need to know to get ahead in this game, progress folds faster, and be on the leaderboards in no time. If there are some things worth mentioning that we haven’t included in this strategy guide, you can tell us all about it in the comment section below and we’d be very happy to hear it!